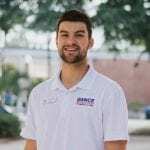 The following was written by Connor Bennett, Finance Manager for Dance Marathon at the University of Florida, as a part of a speech he gave during the closing ceremonies of their event before the fundraising total was revealed. It seems at times we neglect to acknowledge that children from all backgrounds and walks of life deserve the same opportunities as any other, but we must be mindful of the future we are shaping. 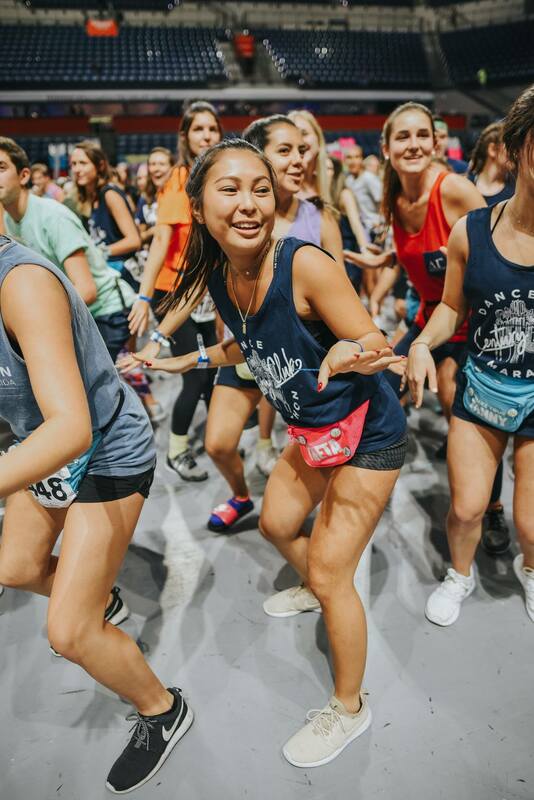 In a time where action is typically not taken to make a difference on issues that matter, Dance Marathon reminds us all that these are the kids who will become our next great leaders and thinkers, and we must shape a generation of understanding, compassion, and grace. 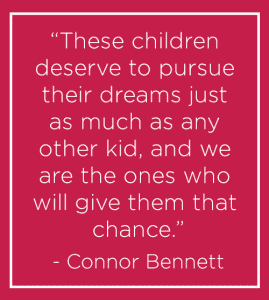 This cause is one steeped in the belief that all children deserve to be just that, children. To create those little moments which allow us all to look back on our younger years with nostalgia and joy. 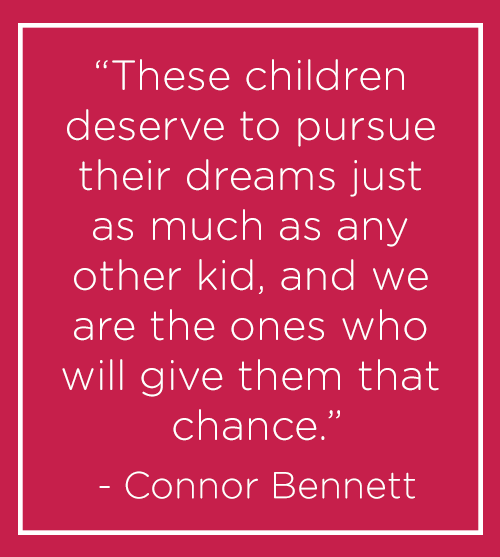 No matter the circumstance, each kid should be given the opportunity to live a life they create for themselves, not one beholden to a disease they never asked to battle. 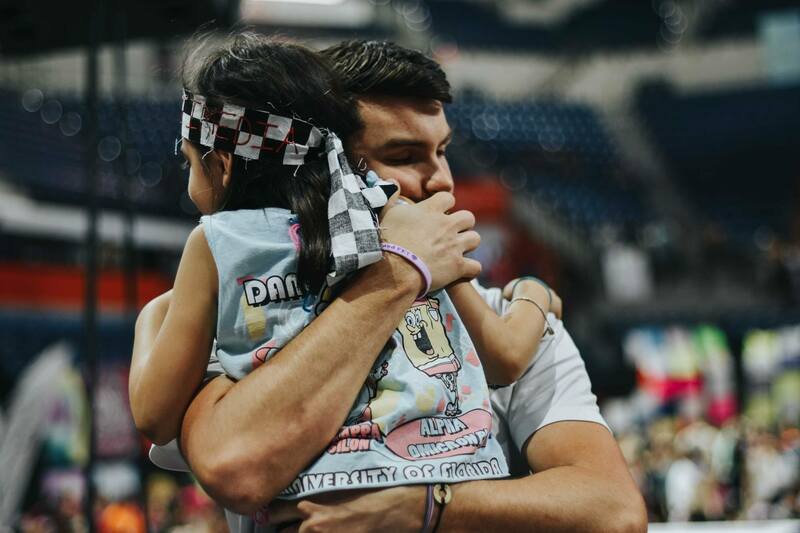 These children deserve to pursue their dreams just as much as any other kid, and we are the ones who will give them that chance. We are the generation who will spark the flame, each day working to leave this world a little better than how we found it when we woke up that morning. 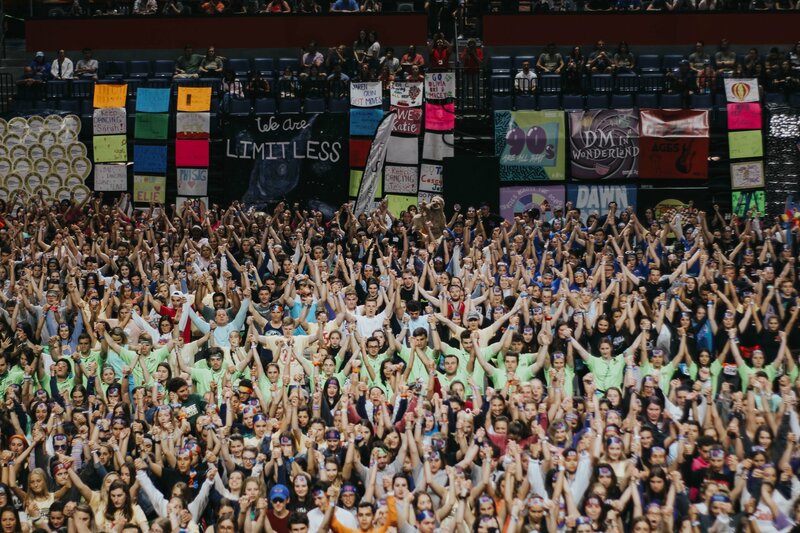 Dance Marathon set out this year to show what happens when each and every one of us believes in the power of ourselves. To prove that every single individual holds within them an innate capacity to bring about change. And we have done just that. This cause will forever be a lesson in humanity, as we consistently show that there are still champions of the human spirit in this world, and individuals who still aid others for no reason other than because it is simply the right thing to do. This army is one that challenges the doubts and grim outlooks of pediatric illness with hope and love, and we will constantly be reaching towards the day in which we are no longer needed, because we have finished our job. Until then, we work. To pursue a future where no child has to walk into the doors of a hospital. We smile. Because we have created inseparable bonds along the road to this moment, knowing we have met those who will be in our lives for as much time as we are given. And we dance. To celebrate the miracles that we have already made, and those that have yet to come. 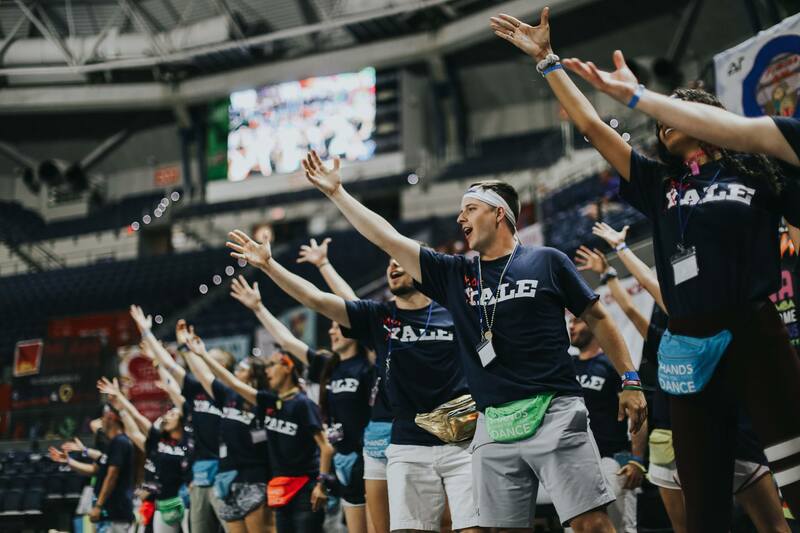 Twenty-five years ago, a group of college students set out with a vision. A vision to alter the course of pediatric illness. And while these individuals could never have imagined what their dream would ultimately become, it is truly remarkable to see where this cause stands today. 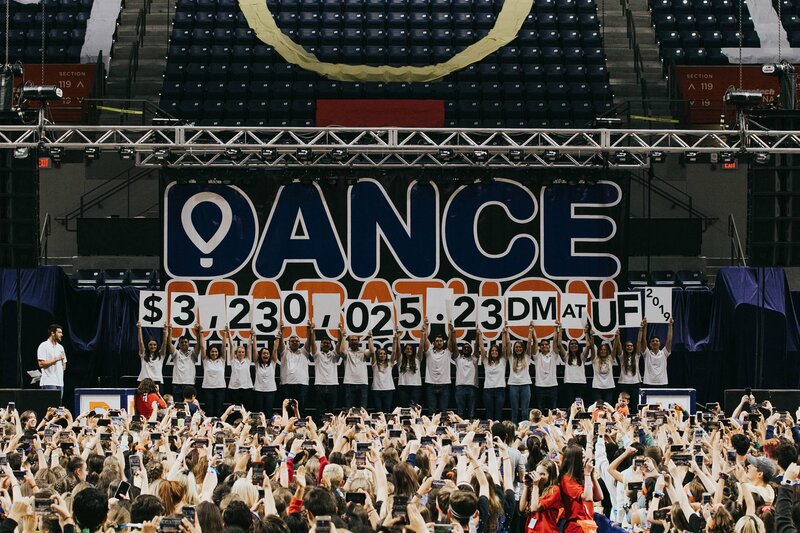 Since its inception over a quarter century ago, Dance Marathon at the University of Florida has donated over $18 million to UF Health Shands Children’s Hospital through Children’s Miracle Network Hospitals, providing funds vital to the expansion of new facilities, equipment, and research for cures. To the University of Florida administration and staff, thank you for believing in those students in 1995. They presented you with this wild idea of standing and dancing for an excessive amount of time, but you listened. You gave them a chance, and sometimes that is all you need. 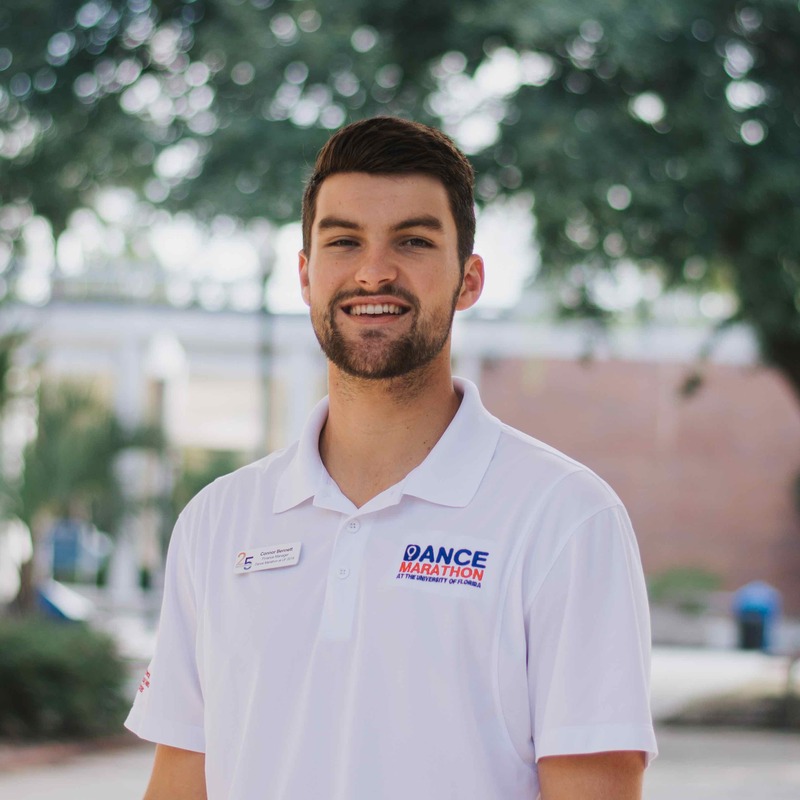 Your commitment to empower your student body and your willingness to provide platforms like this one on which we can work to make the world a better place, is indicative of this university’s dedication to the GatorGood. To the dancers, thank you for growing with us so much of this past year. You all are the embodiment of everything this organization stands for. 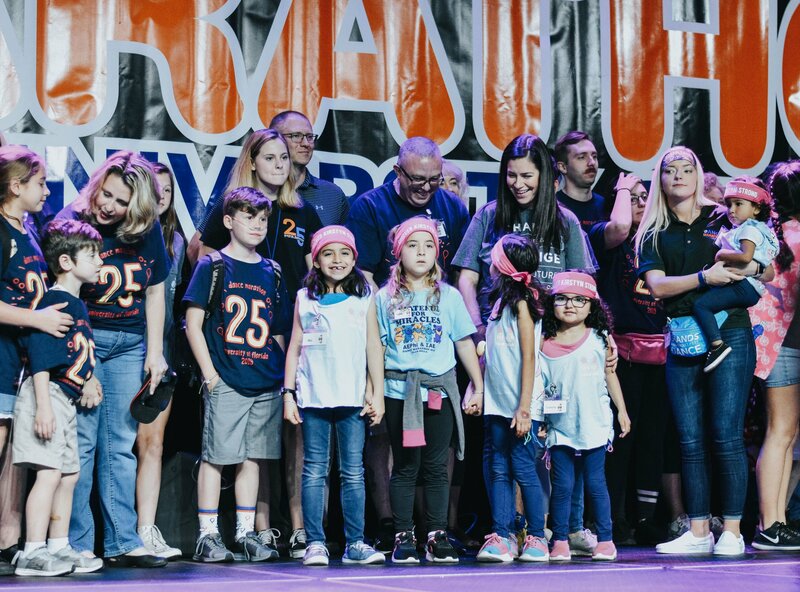 You put forth such an inspired effort in working for this cause, often times not realizing the incredible impact that you have not just on the hospital, but on the lives of these children, to you we are forever grateful. To the ambassadors, assistant directors, captains, and emerging leaders, thank you for being the heartbeat of this philanthropy. Your commitment and love for this organization is unparalleled, and we would truly be nothing without your devotion to bettering the lives of the families at Shands. You have given so much, and asked for so little, and we will never be able to adequately express how much we value, appreciate, and love you. To our families. Thank you for sharing your lives with us. You are our greatest source of inspiration. You give us purpose and a reason to fight. You mean so much to each and every individual in this room, and we now understand that you don’t have to share DNA to be family. Know that you will always have a hand to hold, ears to listen, a shoulder to cry on, and hearts upon which to rest when you need someone to fight the battle with you. We love you, and we will always stand at your side. To those we have lost along the journey. While we grieve over not having you dance with us today, we know that you are forever in our souls. It is because of you that we smile randomly, as our hearts are filled with the beautiful memories of your life that we carry with us always. You left us with a mission, a mission to continue the fight, as you are an ever-present reminder that we still have so much work to do. We have hope that we will one day be able to discover cures, to provide treatment to all types of disease, and we will continue our fight in honor of you. 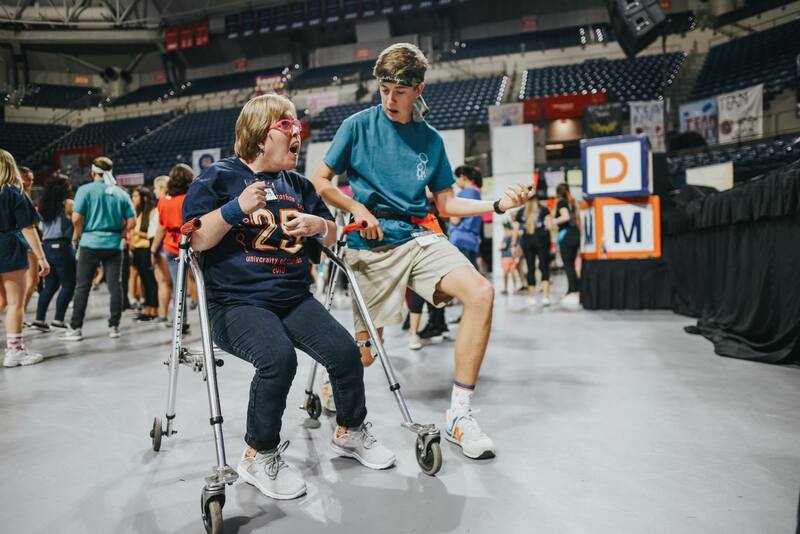 All photos courtesy of Dance Marathon at UF (Facebook).